MYOB are a large accounting software company that provide solutions to many companies across Australia and New Zealand. They hold two large annual events, one being the MYOB Incite Roadshow. A combination exhibition and conference that travels to 5 major Australian cities and 2 major New Zealand cities, as well as many regional cities in a slightly different format. MYOB had previously used plain white walls and aluminium frames for their exhibition stands at the Incite Roadshow and they were looking for a change that would bring some excitement to the exhibition and their exhibitors. The change MYOB were looking for would also lift and enhance their branding. To achieve this, Events 720 created a custom exhibition stand that was exclusive for MYOB. The stands were primarily white, with the option for exhibitors to choose graphics in multiple styles. This allowed the exhibitors control over how they wanted their exhibition space to look. Exhibitors could choose whole-wall graphics that covered the entire stand, or they could choose smaller graphics that displayed just their logo and left the remainder of the stand wall white. The border of each exhibition stand was a painted trim in MYOB’s signature purple. As the MYOB logo features a gradient colour scheme between pink and purple, we were able to create custom paint colours that matched two of the colours in the spectrum of their logo. These colours were then incorporated into the stands by way of the trim and also the shelves that were attached the sides of the stands. 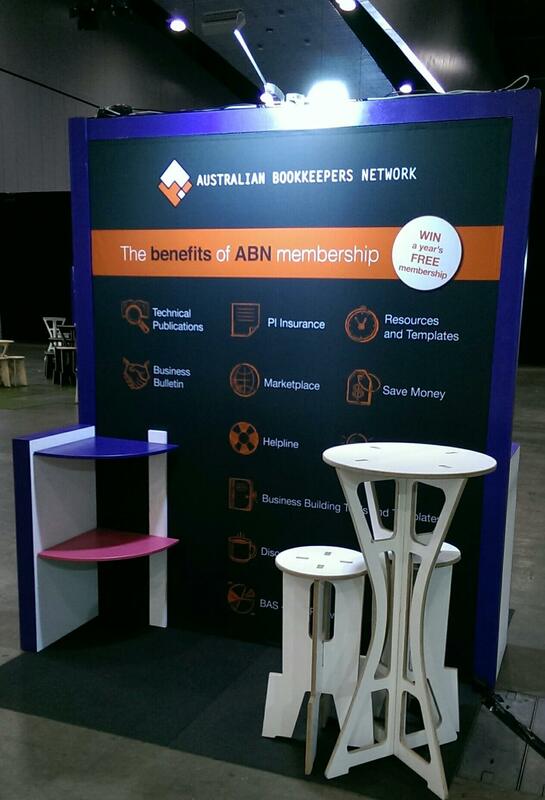 By painting these features in the MYOB colours, we were able to create custom branded exhibition stands that gave the exhibitors a new experience with their stands. This branding was also continued throughout the whole theme of the exhibition with the MYOB Tech Bar also containing painted shelves and cupboards, as well as the Event Check-in Areas. By expressing the MYOB branding throughout so many products there was continuity throughout the exhibition. It also provides the exhibitors with the foundation that the organiser really cares about the exhibition appearance and performance. 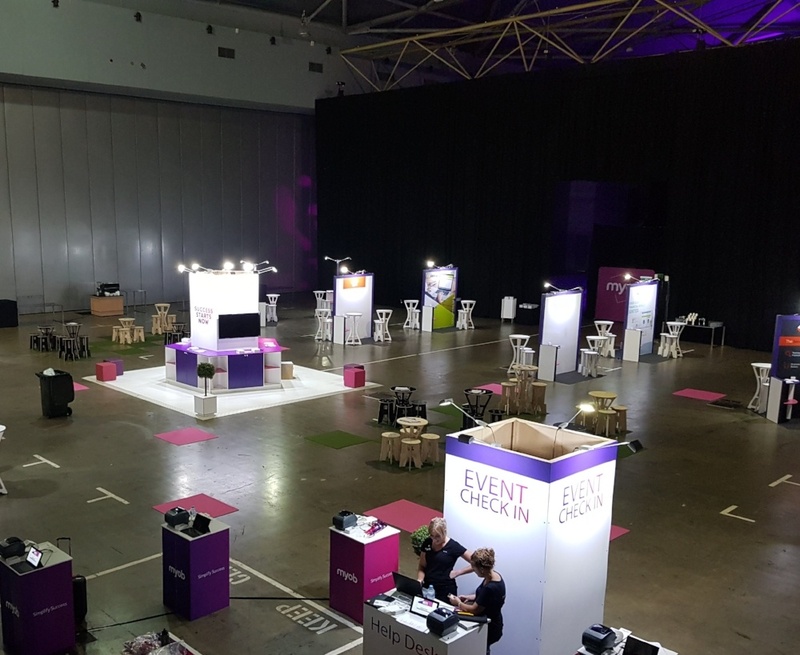 Expressing the MYOB branding through the exhibition stands and other exhibition products was such a hit at the Incite Roadshow that MYOB has decided to continue incorporating branding in other large exhibitions that they organise, such as MYOB Partner Connect. Want to see what Events 720 could do with your ideas? Get in contact today and let's get creative.